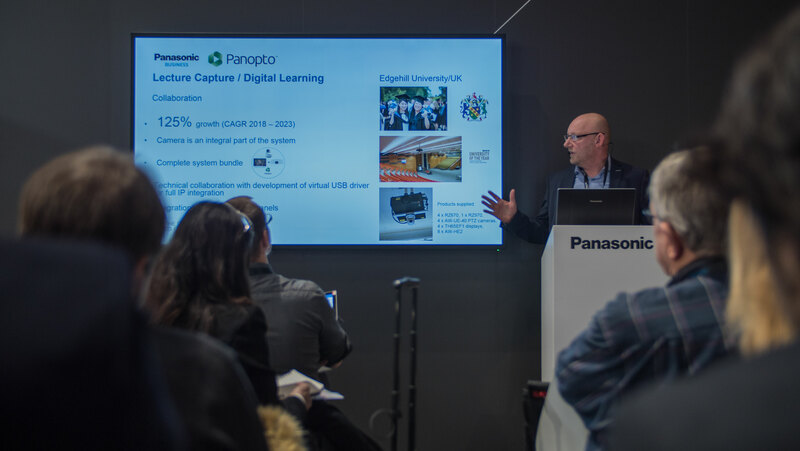 Panasonic has used ISE 2018 to announce a beyond 4K laser-phosphor addition to its projector line-up aimed at live event staging, exhibitions, rental and permanent installations. The launch of the PT-RQ22K 3-Chip DLPTM SOLID SHINE laser projector, which meets the demands for a lightweight, high-brightness 4K+ projector, is just one of the many announcements made by the Japanese manufacturer at the ISE show in Amsterdam. In addition, Panasonic has unveiled a six model series of 4K professional displays ideal for shopping centres, showrooms, meeting rooms and classrooms, ranging from 43 inch to 86 inch. Designed to simplify the installation, setup and control of network displays, the EQ1 series is equipped with a USB media player that displays 4K and Full HD content without the need for external cables or a set-top box. In addition, Panasonic’s new 12,000 lumens laser projector, that shares the same compact dimensions and light weight as its existing 10,000 lumens class projectors, joins the company’s lineup of filterless 1-Chip DLPTM dual-drive laser phosphor models. For digital signage, Panasonic brings its interactive ShadowSenseTM display range, designed for high-end digital signage applications, to ISE 2018. 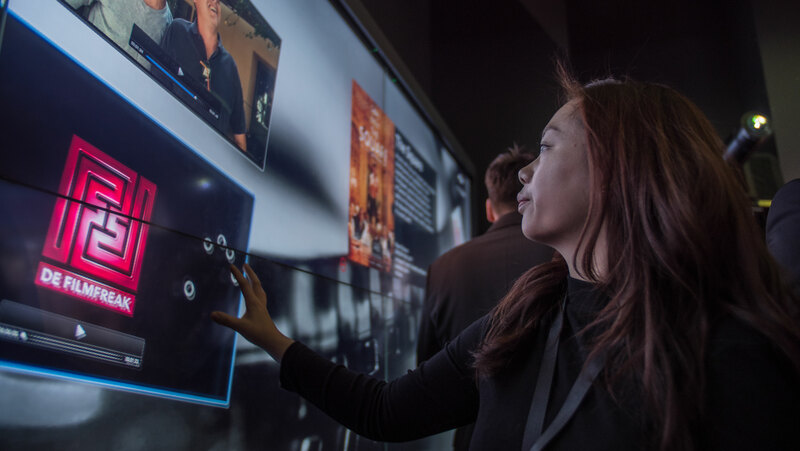 Providing the freedom to engage, the multi-touch versions of the AF1 and LF80 displays in 42, 49 and 55-inch sizes, have been integrated across Panasonic’s booth. Additionally, Panasonic announced its new series of high brightness, lightweight, portable projectors. The PT-VW360 series is the lightest and brightest projector in its class, offering high-contrast imaging on screens up to 300 inches. For the education and corporate markets, Panasonic has announced the high-brightness PT-MZ770 projector series. The two models combine the portability and picture quality of LCD imaging, with the low operating cost and high reliability of SOLID SHINE Laser, providing outstanding reliability in dusty conditions. Panasonic’s LinkRay™ transmission technology, which sends data to smartphones via the device’s camera is also supported by the MZ770 series, making the projectors equally suitable for signage and other public exhibition roles. Alongside its range of audiovisual solutions, Panasonic’s booth at ISE ‘18 (Hall 1, Stand H20) features its must-see, live-event ‘showstopper’, combining visual art performers, laser projection technology, 3D mapping and tracking. Panasonic has partnered with four companies for the project. Painting with Light created the show design, Novaline provided the invisible projection screen fabric, Blacktrax and Disguise (formerly d3 technologies) provided the tracking solution and server technology behind the live show. Jan Markus Jahn, Director of Panasonic Visual Systems in Europe, said, “Panasonic’s ISE presence is expanding year on year. ISE 2018 saw our biggest ‘Showstopper’ yet, which left the audience wondering where the live performance started and the projections ended. In addition, we’ve introduced several incredibly strong additions to our audio visual technology, plugging a number of gaps in the range. 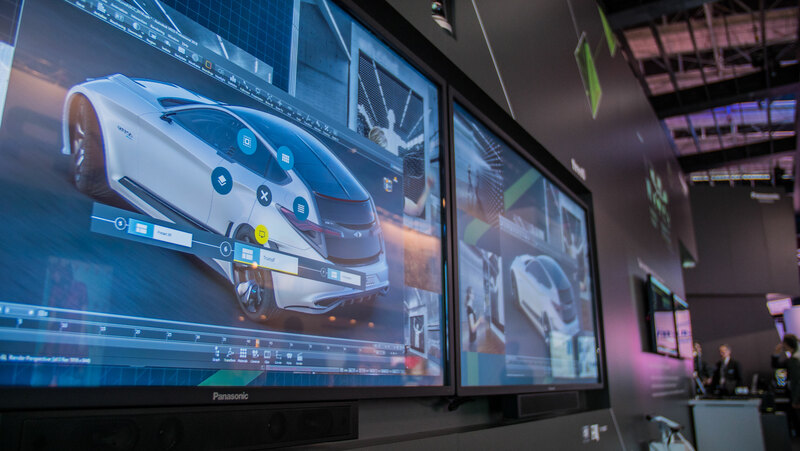 The Panasonic presence at ISE was presented as providing the freedom to create. “We believe that businesses will succeed if they can simply focus on their customers, in the knowledge that the technology solution delivering their capabilities just works,” added Jan Markus Jahn.